Now it's a party! Send the Deluxe Belgian Chocolate Covered Gift Tower to someone special. 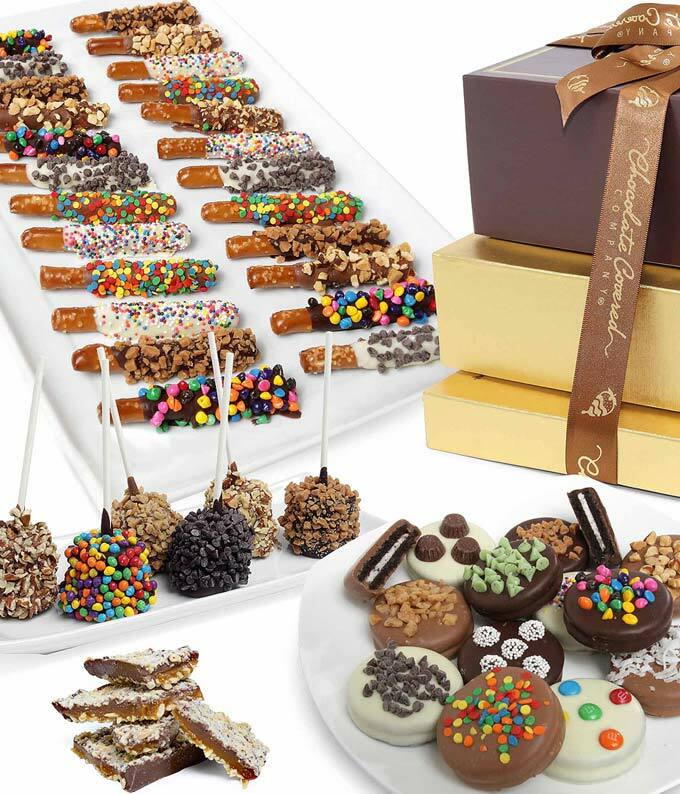 These decadent treats are hand-decorated and carefully arrange to truly impress your recipient.